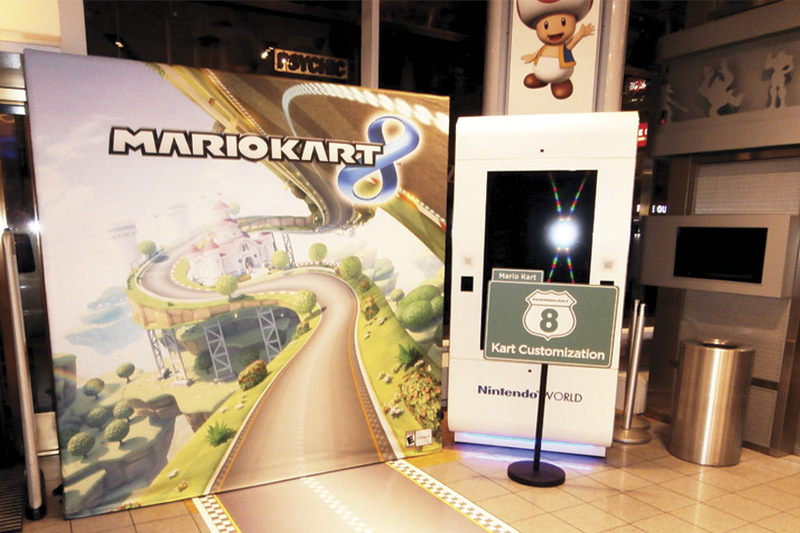 Tangram International approached Print On Carpet with an idea to design floor graphics for Nintendo to kick off Mario’s Kart 8 Wii Game in Nintendo’s NYC store location. 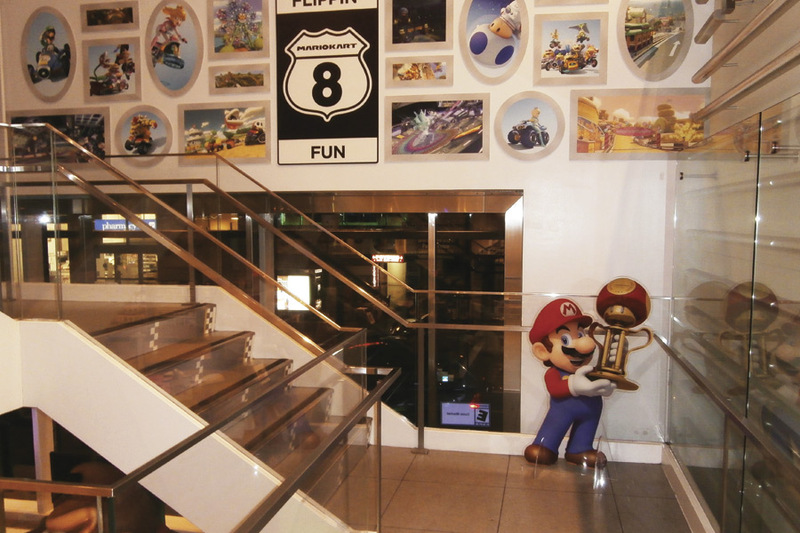 For the introduction of the new game release at the store, POC was challenged with creating platform graphics, acrylic “road” signage, Mario-character standees, and a life-size rounded racetrack flooring decal with matching racetrack graphics for a 28 step stairway. The 5 ft. wide x 17 ft. long racetrack “road” and 5 ft. wide x 7 in. 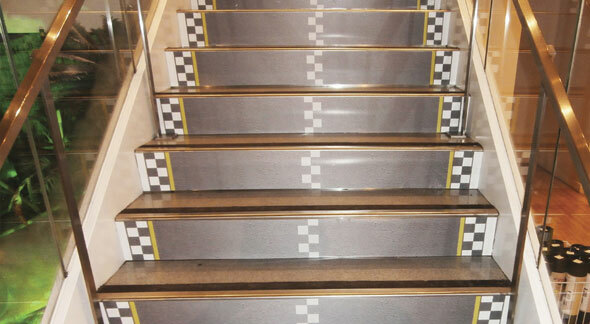 high stair risers were UV flatbed printed direct to floor graphics with an anti-skid floor over laminate, for a super fun – and super durable – experience! Heinz History Center FlooringCarpet Takes You To The Beach! 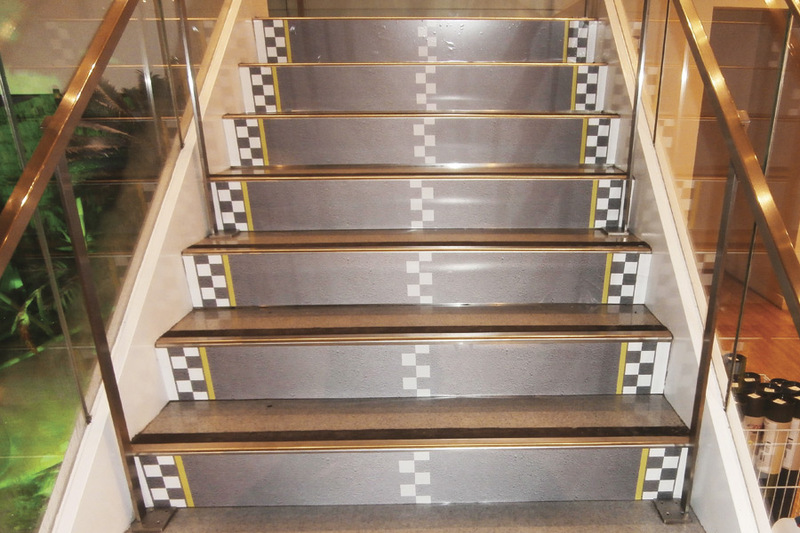 Carpet Takes You To The Beach!